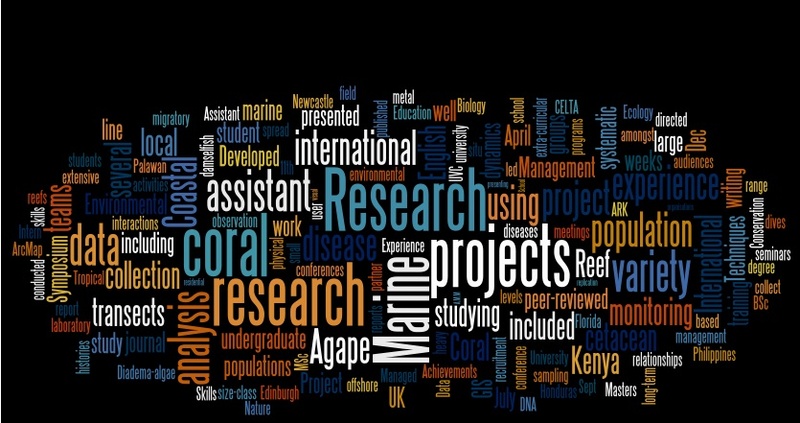 I recently discovered a fun little tool called Wordle. It takes any text you choose and turns it into a word cloud, based on the number of times a word appears, much like the Tag Cloud in wordpress. I uploaded my CV….it seems pretty representative. Oh cool, I’m gonna try this, but I’m a little scared of what the main words will be!